id Software's next big shooter, Rage, built on its next big engine, id Tech 5, now has a ship date. Get ready to wait a little longer for Rage, for it won't be out until September 2011. The PC, Xbox 360 and PlayStation 3 game will ship in North America on September 13, 2011. Europe will get it just two days later on September 15, 2011. That's a little later than we were expecting, given id CEO Todd Hollenshead's comments at last year's Quakecon, but, hey, things change. 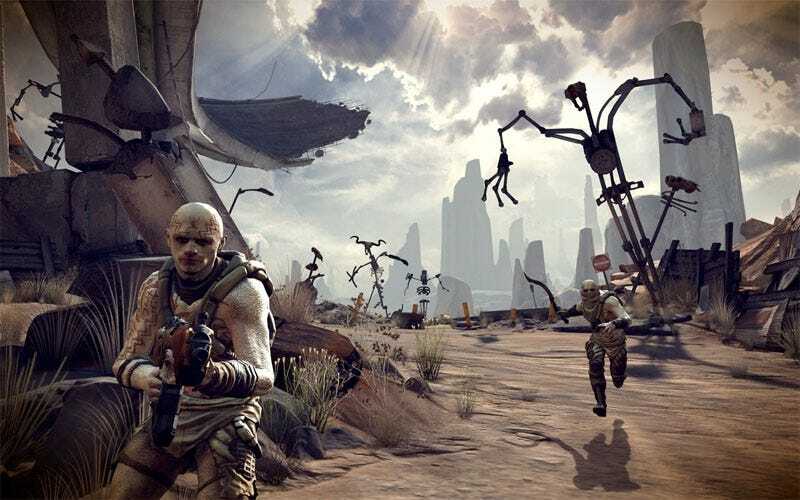 Rage was originally unveiled at Quakecon 2007 following a brief tech demo appearance at Apple's Worldwide Developer Conference earlier in the year. The first-person shooter combines vehicles and racetracks, driving and racing elements with a fun-loving apocalyptic setting. Update your calendars, ladies and gents!